An email marketing service can also be known as an email marketing platform or software and is a tool that businesses can use to help manage their email presence. Some of the features of an email marketing service include the ability to create emails and send them to large subscriber lists, to design eye-catching emails and use templates for easy layout, to format newsletter and to collate email information of people who may be interested in your business. Investing in an email marketing service is a wise choice for a business owner. It makes a lot of business sense to harness the powers of an email marketing service and use them to build up a list of customers and potential customers. These customers can then be contacted with ease, taking a lot of the hassle and stress out of building up brand awareness and customer loyalty. Another reason why email marketing services are useful for business owners is that they offer the ability to keep track of data about how your emails are viewed. You will be able to see data such as how many people opened the email that was sent, how many people forwarded it on to someone else, how many of the emails may have bounced back to you, or how many people have unsubscribed from your mailing list. This kind of information is invaluable to a business as it allows them to constantly update and refresh their email marketing strategy to best fit the needs and wants of their customer base. There are a number of things to consider when choosing which email marketing service will be right for your business or project. First of all, you should consider what type of software is offered by the service. It should be sure to include such essentials as subscription forms, email templates, tracking tools and html coding abilities. Another important aspect to consider is customer reviews. It is always a good idea to find out what business owners have to say about a particular marketing service. If it is good enough to suit their needs, it should do the same thing for you. 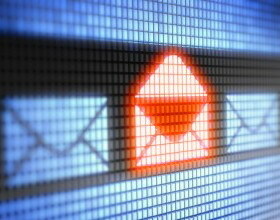 The advice of your peers will be invaluable when choosing the right email marketing service. Read up about the various email marketing services in marketing magazines and see what the experts have to say. Their helpful advice will help you to make sense of it all if you are confused about where to start. Finally, compare and contrast the items offered by the various email marketing services versus what you have to pay. You’ll be able to see which will offer you the best result for your company.